On 21st September 1745 the Battle of Prestonpans took place between the Jacobite and Government armies. This battle is one of the most well know of the battles of the ’45 Uprising and yet it is estimated to have lasted less than ten minutes. So, how did this battle come to be and why was all the action over in ten minutes? 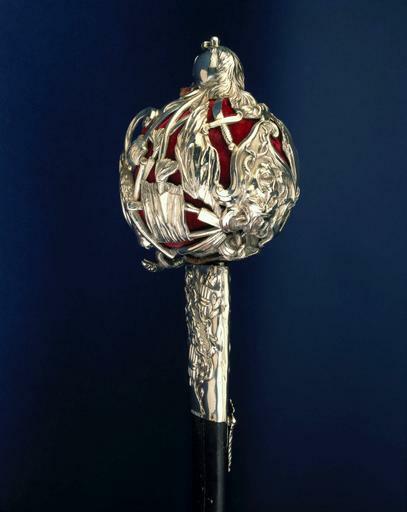 We begin on 17th September 1745 when the Jacobite army captured Edinburgh. The city gate at Netherbow Port was opened to let a coach through and seizing the opportunity Jacobites rushed the sentries and gained control of the city. 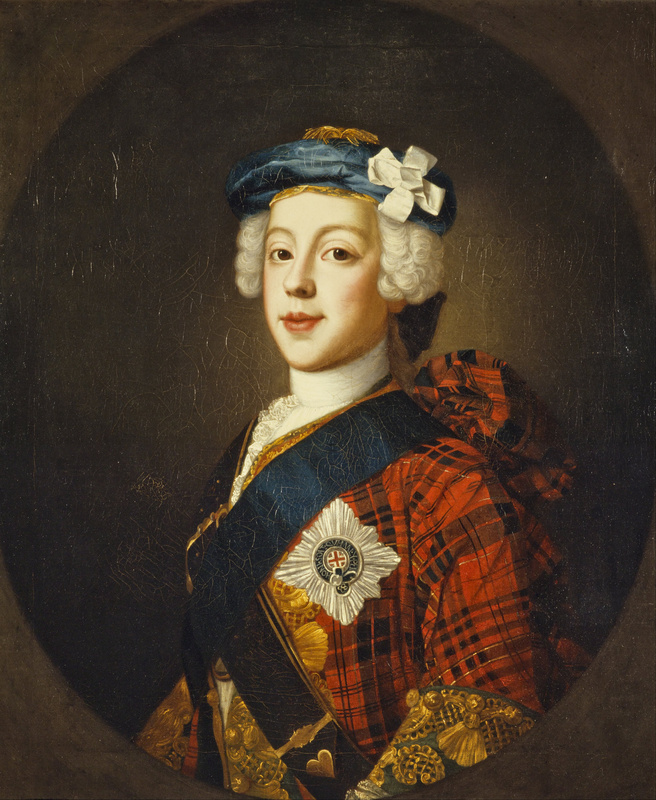 The next day Prince Charles’ father was proclaimed King James VIII at the Mercat Cross and Charles entered the Palace of Holyroodhouse. Whilst at Edinburgh Prince Charles encouraged the city’s churches to remain open on Sundays and for normal Presbyterian services to continue as a show of the religious tolerance he had promised. His pleas however fell on deaf ears and all but a handful of churches remained closed throughout the Jacobite occupation of Edinburgh. With the Jacobites in the city the Government army began its advance determined to take back Edinburgh. The long column with its train of artillery and baggage wagons extended for several miles and attracted many country people to the unusual spectacle. On the 19th September they camped at Haddington where they went in search of a meal, but, before they sat down the drums beat to arms and the men hurried back to their regiments ready to face the enemy. However, this was soon discovered to be a false alarm which, it was alleged, had followed the coach of Hon. Francis Charteris and his newly-wedded wife to their home. This rumour may have been true as the bride was a daughter of the Duchess of Gordon who had Jacobite sympathies; the husbands elder brother, Lord Elcho, was with the Prince and indeed the husband himself had subscribed to the cause. The nexy day the Government army were surprised to learn the Jacobite army were heading out of the city to meet them. General Sir John Cope commander of the Government forces decided to wait for them at Preston where the flat unobstructed ground would hopefully suit his troops, in particular the dragoons and the Forth estuary at their back prevented any flanking manoevers by the Jacobites. That night the Jacobites moved forward under the cover of the dark and mist. Finally on the 21st September 1745 the two armies met. Lord George Murray commanded the left wing of the Jacobites making a significant contribution to the victory by suggesting the army make use of a little known path through the marshland to surprise the Government army by coming up on their left flank. The men set out at about 4am and silently moved through the marshlands to the east of the Government men. As dawn broke the Jacobites 2,000 men charged. The Government army wheeled around to face them but the men only manage to fire one shot before the Jacobties were upon them. 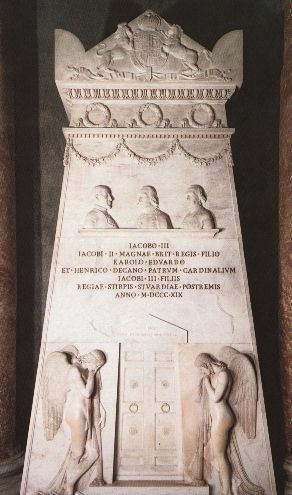 As the Jacobties charged the Government fled overwhelmed by the attack. General Cope tried to rally his men but they turned and fled without ever putting up a strong resistance. Cope then fled to Berwick leaving 500 men dead and over 1,000 men as prisoners. Meanwhile the Jacobites had less than a hundred men dead or wounded. When Cope reached Berwick he was supposedly ridiculed for being the only General who had ever brought first news of his own defeat. After the battle Prince Charles would not allow any bonfires to be lit or church bells to be rung to mark the victory. Nobody was to be seen exalting in the suffering of those who had died or been wounded at the battle. Indeed Prince Charles delayed his leave of the battlefield to visit the injured and instructed that the dead received a proper burial. On the Government side, Lt General Henry Hawley replaced Cope as Commander in Chief of Scotland and it is said that Cope made a large amount of money by betting £10,000 Hawley would be defeated by the clans just as he had been. The Battle of Prestonpans was the first major conflict of the 1745 Uprising and was an important victory for the Jacobties, giving them a boost in morale as they turned their thoughts to the South. We hope you enjoyed this little foray into the Battle of PRestonpans. As always please like, share, follow, comment and tell all your friends about us. 270 years ago on the 23rd July 1745, Prince Charles Edward Stuart set foot on Scottish soil for the first time. From his birth in Rome, Italy on 31st December 1720 Charles had the potential to be a threat to the Hanoverian throne. Indeed, on the night of his birth it is said Hanover was hit by a fierce storm and Gaelic poets proclaimed his birth as the saviour of his people. The early part of Charles’ life was spent with his brother Henry and during his youth he learnt to read fluently, could speak English, French and Italian, was a capable rider and could fire a gun with a good aim. In 1737 Charles, under the title of Count Albany made a tour of the Italian cities with great reception and the attention this drew was not welcomed by the Hanoverian government. However, it was not until the following year, 1738, that the earliest notion of Charles trying his fortunes in Scotland appeared but he was refused permission and the next seven years were spent waiting and brooding on the subject. On 9th January 1744 Prince Charles left Rome to make his way to Paris where he had been invited by Louis XV as they prepared to invade England. Charles, just 24 years old, rode in disguise first as a Neopolitan courtier and then as an officer in the Spanish army to reach Genoa. From here he sailed to Antibes and reached Paris on 8th February 1744 where he spent the next couple of months with the French invasion force preparing for the invasion of England. Unfortunately, on 24th February one of the worst storms in a century damaged the French transports, sinking twelve ships and putting five out of action. The French invasion was cancelled. Disappointed Charles returned to Paris. Finally, in May of 1745 the French defeated the British at Fontenoy and Prince Charles, apparently fed up of talk and speculation, decided to act. In June he wrote to his father in Rome telling him he had been invited over to Scotland with arms and money to restore the crown to the Stuart line. Charles borrowed money in Paris and bought a store of arms and ammunition and managed to secure passage on board the Du Teillay captained by a wealthy Irish merchant, Anthony Walsh. He also managed to enlist the aid of a French frigate, the Elizabeth to carry his military stores and convoy the Du Teillay across to Scotland. At last on 22nd June 1745 the Du Teillay set off from the French coast and set off to Belle Isle to meet up with the Elizabeth. On 5th July both ships set forth for Scotland, but it was not to be an easy crossing. Just four days into the voyage an English frigate, the Lion, met them and engaged the Elizabeth. Unable to outrun the English ship the Elizabeth was forced to fight. On board the Du Teillay the Prince was apparently keen to join the action and help but Walsh ordered that the two frigates must fight it out alone. Over five hours later both the Elizabeth and the Lion were so badly damaged they were forced to retreat and return to their respective ports. Prince Charles had lost his convoy and the vast majority of his supplies and he was urged to go with the Elizabeth back to France. But, Charles refused and the Du Teillay sailed on towards Scotland. We hope you enjoyed this glimpse into the background of Prince Charles and as always please like, share, tweet, follow and discover more about the Jacobite Rising of 1745.